This dataset shows the Penalty Charge Notices (PCN's) issued in on-street parking areas throughout Lincolnshire. The data contains district area, tickets issued, tickets challenged and challenge success rate by month. Please note the data shows the amount of challenges reviewed and granted within each month, but the dates listed for challenges are not necessarily relevant to the month the PCN was issued (so in some cases the number of challenges may be more than the number of PCNs issued). Data is shown for Lincolnshire and Districts, and (for April 2018 and onwards) for Lincolnshire County Council Parking Services areas. The dataset is updated monthly, shortly after the beginning of each month. For any enquiries about this publication please contact parkingservices@lincolnshire.gov.uk . 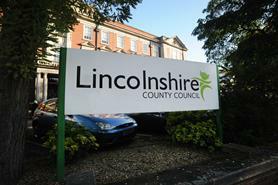 Lincolnshire County Council, full PCN Statistics dataset.